No trip to Vietnam would be complete without a visit to the spectacular rice terraces of the country. 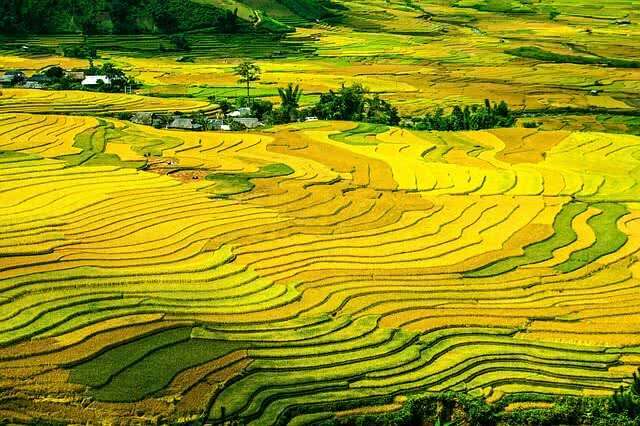 You can also visit the most beautiful rice terraces of Vietnam in the hilly terrains of the Northwestern mountainous region. It is a surreal scenery in the stunning mountainous region. In addition to the yield of crops, these rice terraces are a major attraction of Vietnam among international tourists. 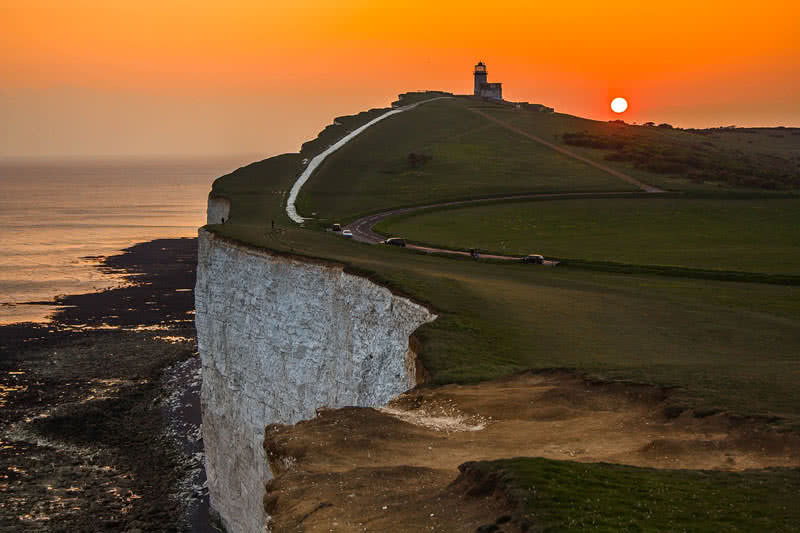 The 530 feet high Beachy Head in Eastbourne town of England is the highest chalk sea cliff in the United Kingdom. Located on the Eastern part of the famous Seven sisters – a series of spectacular chalk cliffs. The view of the cliff, sea, and sunset here are also just stunning. There is a 43 meters high, red and white-striped lighthouse at the foot of the cliff. It featured on many TV programs. Cape Town is the Southernmost city of the African continent. This amazing city has beautiful beaches, majestic mountains, spectacular gardens, and harbors. Cape Town is home to famous Cape of Good Hope. From this site, you can enjoy a fantastic glimpse of where the Indian Ocean meets the Atlantic Ocean. The 1084 meters high flat-topped table mountain is the most famous landmark and a significant tourist attraction of Cape Town city. You can hike or use cable car service to reach the top of this mountain, from where you will get an incredible panoramic view of the town! 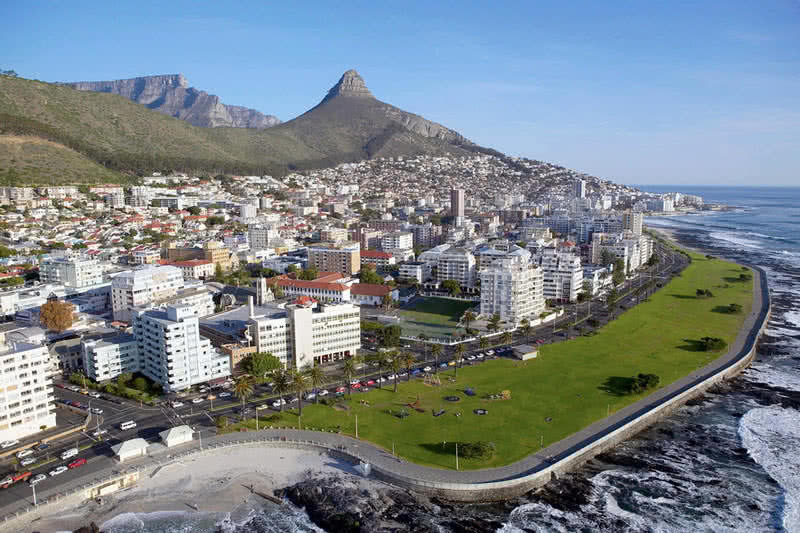 Cape Town has also got a pleasant, Mediterranean climate throughout the year. Visit Robben Island on the West of the Coast of the Cape Town where the famous leader Nelson Mandela imprisoned for 27 years. The Kirstenbosch botanical garden in Cape Town is among the most magnificent botanical gardens in the world. It is home to many rare African plants. One of the most isolated, inhabited Island on Southeastern Pacific Ocean. Easter Island is famous for its long row of monumental statues called Moai. 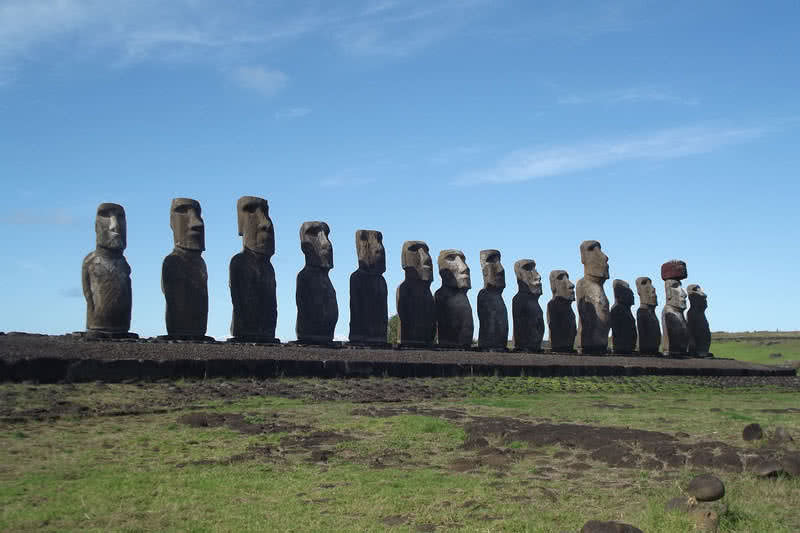 These mysterious monuments created by Rapa Nui. People carved out of the volcanic rock. An average moai statue weighs around 270 tons. This is a largely deforested Island but has vast grasslands. It is also home to 324 meters high, extinct Rano Kau volcano. From Easter Island, you will get a 360-degree view of the Pacific Ocean. A great place for surfing, diving and snorkeling. The vast fields of tulips are one of the major attractions in the Netherlands. Throughout the spring, these fields display millions of tulips in bloom. 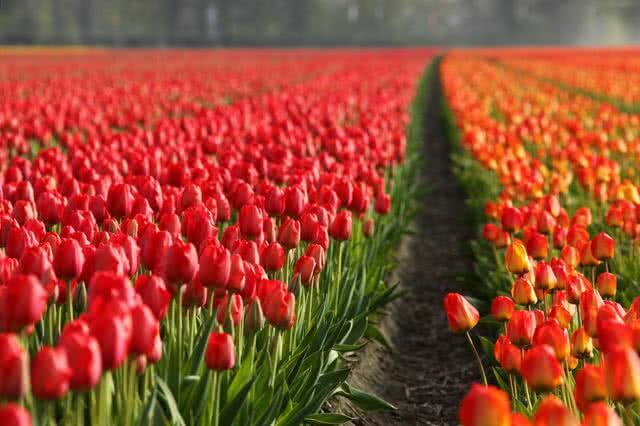 The weather and type of soil in Netherland are suited well for growing of tulips. Most of the tulip fields in the Netherlands concentrated in the Noordoostpolder municipality in the Flevoland province of the country. The Keukenhof garden in Lisse town is also a well known tulip-growing area. It is one of the largest gardens in the world. The Aalsmeer flower auction in Netherlands – The largest flower auction in the world displays different varieties of tulips. 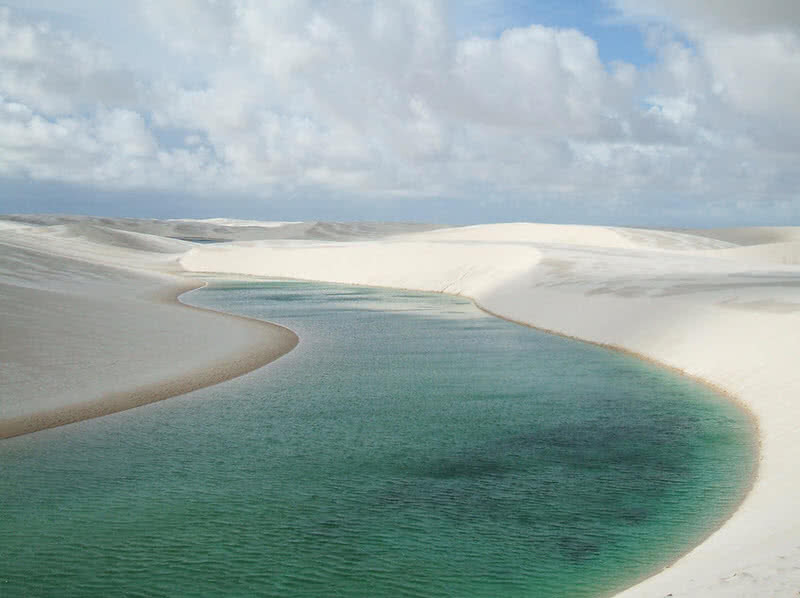 Maranhenses National Park in Brazil combines miles and miles of dunes and lagoons. Undoubtedly it is one of the most beautiful places in South America. May to September is the best time to visit the Maranhenses National Park. During this period, the lagoon becomes full. You can also swim in the bay that time as the temperature is not so hot. Trekking in Maranhenses can also be challenging but worth seeing. The lagoon begins to dry by the start of October. In summer (December to February) the extreme temperature makes it difficult to visit the dunes. Providenciales is one of most beautiful Turks and Caicos Islands in the Caribbean. 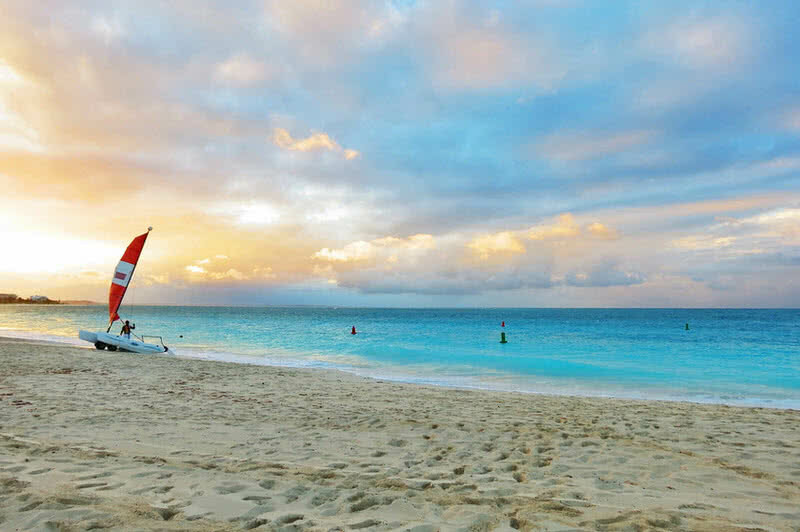 Providenciales is home to pristine beaches, miles of coral reefs and luxury resorts. Conditions are well-suited for snorkeling and diving. The scenic chalk sound natural lagoon is also an excellent attraction of Providenciales. It contains hundreds of small rocky Islands in crystal clear blue water. The beautiful long bay beach in Providenciales is the best spot for kitesurfing in the Caribbean. A spectacular sculpture carved into the granite face of Mount Rushmore in the Black Hills in the South Dakota. It depicts faces of four influential American presidents – George Washington, Thomas Jefferson, Theodore Roosevelt, and Abraham Lincoln. 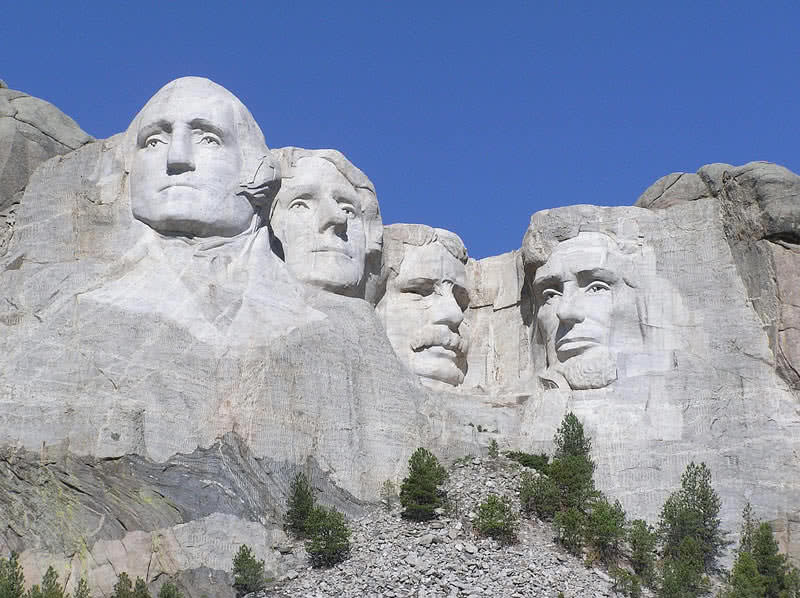 The faces on the Mount Rushmore have a height of a 6-story building. The eyes of each President are 11 feet wide, and the nose is 20 feet long. The construction of this monument started in 1927 and it took another 14 years for the completion. 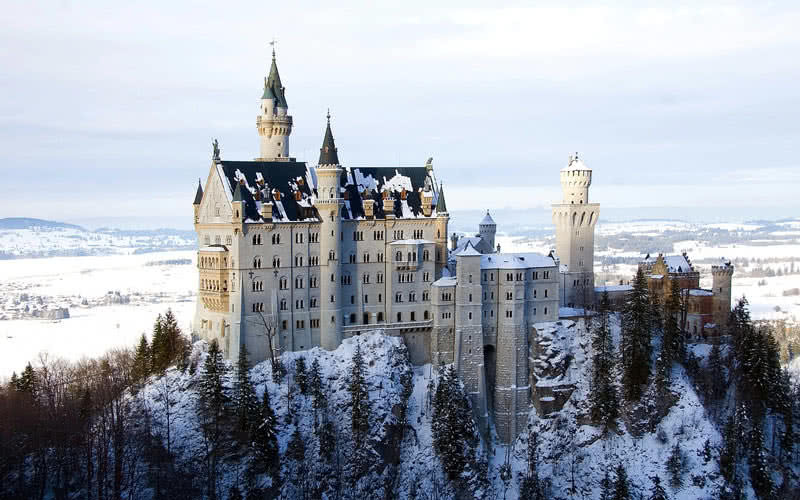 Neuschwanstein Castle is a fantastic fairytale castle situated on the high hills of Southern Bavaria in Germany. It is one of the most visited castles in Europe. King Ludwig II commissioned Neuschwanstein Castle. Neuschwanstein Castle was the inspiration behind the sleeping beauty castles in the Disneyland parks. This castle also includes more than 200 highly decorated rooms. From the balcony of Neuschwanstein Castle, you can enjoy an amazing view of Alpsee lake in Bavaria. 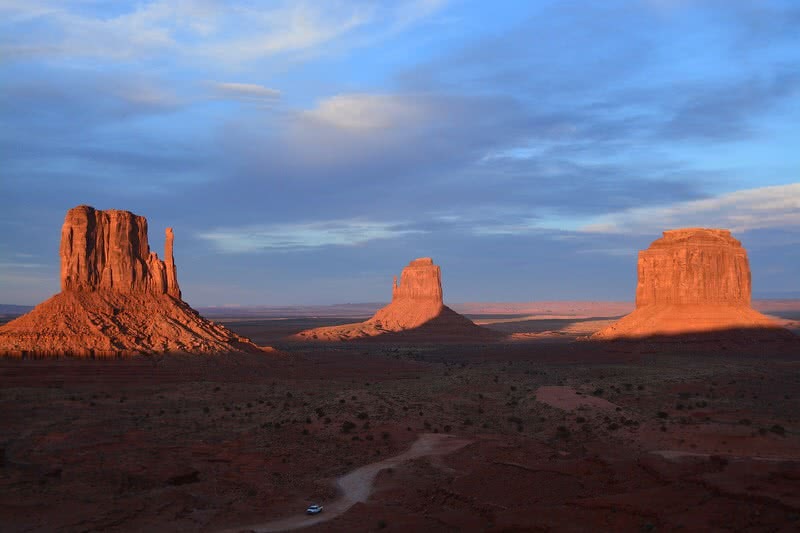 Monument Valley is a stunning landscape in Southern border of Utah. It is flat land that contains iconic sandstone buttes. Monument Valley is one of the most photographed places in the world. The pinnacles of sandstone rocks of monument valley stand at the height of 400 to 1000 meters. The entire landscape has a striking red color which results from the weathered siltstone in the site. You can drive through a 17-mile long dirt road to reach the monument valley. Bikes are not allowed on this road. There is also hot balloon rides to enjoy the beauty of this amazing landscape from a different perspective. A beautiful, mountainous Island in the Caribbean. It is an excellent destination for almost all type of tourists as the Island has beautiful beaches, high mountains, top restaurants, and great music. The Dominican Republic has nearly perfect weather with fewer temperature variations. The Island has 250 miles of coastline with aquamarine waters. The capital city, Santo Domingo is one of earliest European settlements in the Caribbean. This city has impressive monasteries, museums, and clean, cobblestone streets. 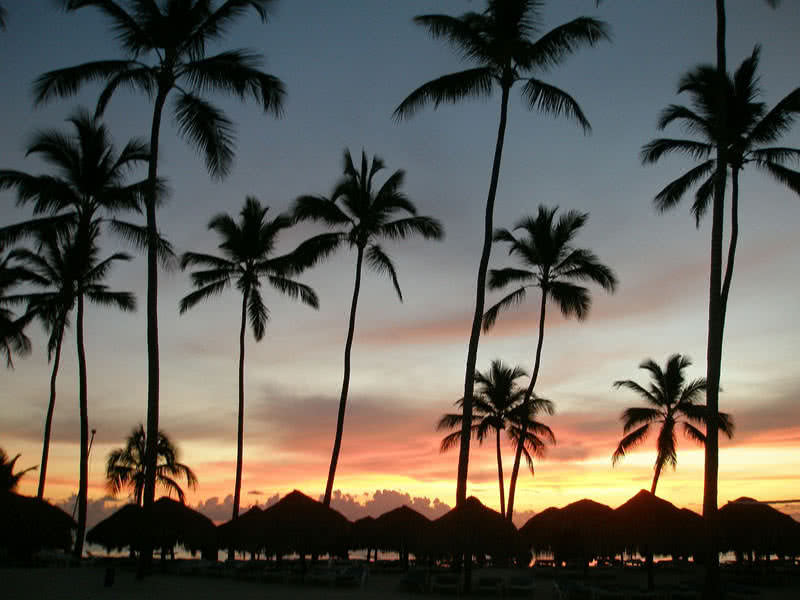 The Dominican Republic is also a paradise for music and dance lovers. Merengue is the most popular form of music of this Island – a great fusion of European and African musical elements. It is a favorite tourist spot and the most beautiful Fjord of Norway. Surrounded by steep, snow-capped mountains, the Geirangerfjord offer a unique, astonishing view of nature. This site includes lush, green areas and beautiful waterfalls. It is one of the best-hiking sites in Norway with a wide variety of trails. 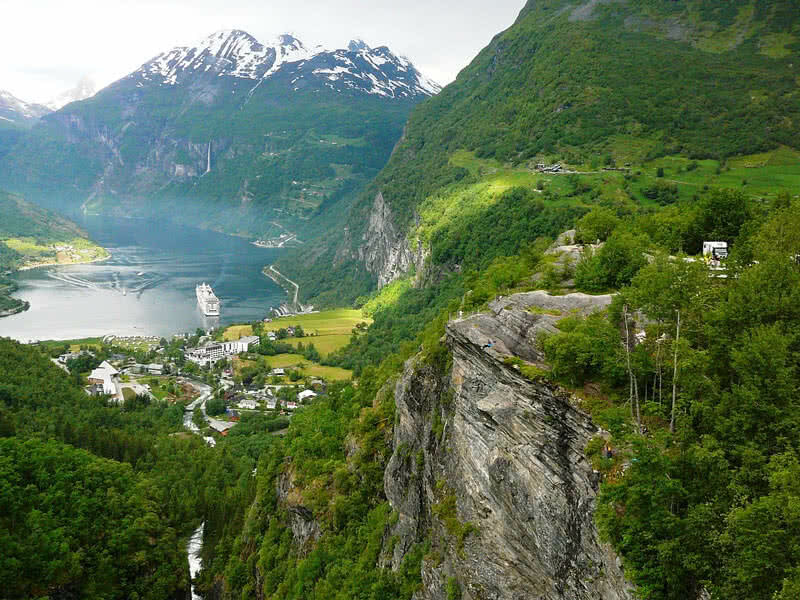 From the top of the peaks, you can enjoy a stunning view of the Geirangerfjord! Take a cruise or kayaking to get a closer view of this amazing Fjord. It also can be an unforgettable experience for you. Tikal is the ruins of an Ancient Mayan city that inhabited from 6th century B.C to 10th century A.D. It locates within the rainforest of Northern Guatemala. 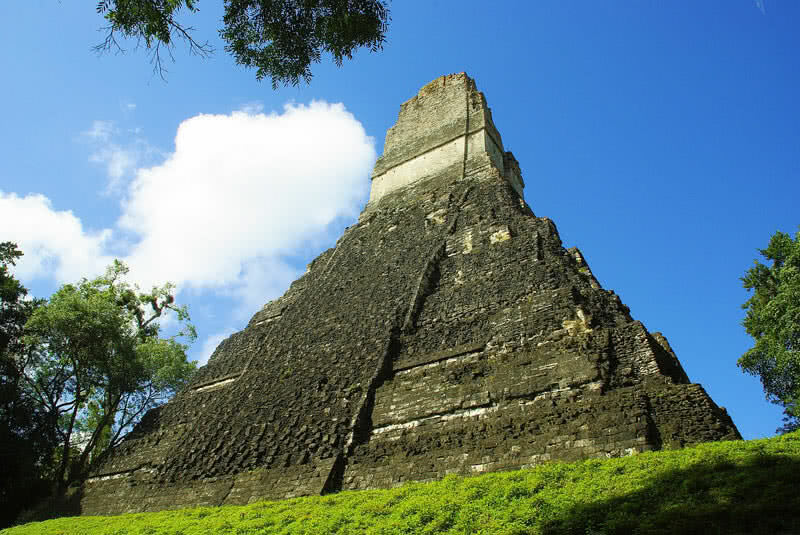 It is a part of Tikal National Park that comprises an area of 224.4 square miles. Considering its archaeological and ecological value, UNESCO designated the Tikal as a world heritage site in 1979. This site includes remains of royal palaces, temples, shrines, residences, plazas, ball courts, and ceremonial sites. The ceremonial area of Tikal contains nearly 200 stone monuments. Six large pyramids labeled as pyramid I-VI are the most important surviving in Tikal. The 65 meters high temple of the two-headed serpents (Temple IV) is the tallest structure in Tikal. The Danish capital is one of the greenest cities in the world. Instead of cars, almost half inhabitants of this city use bicycles to reach office or home. Copenhagen is also famous for effective recycling and composting. The city also has a mission to become carbon-neutral by 2025. Copenhagen is one of the happiest and cleanest cities in the world. The local people are amicable. The harbor and canals of Copenhagen are very clean. 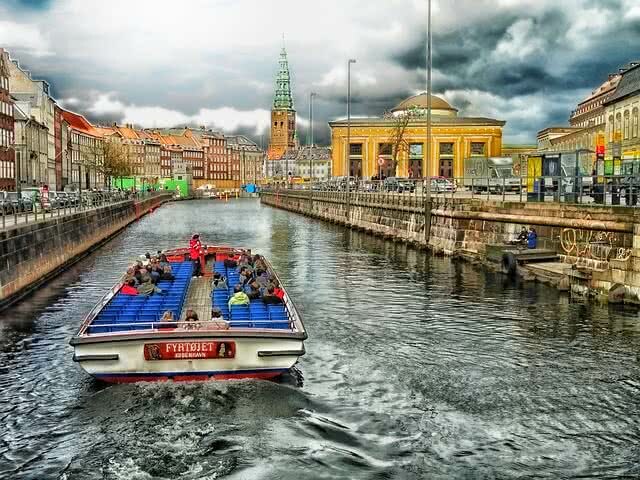 The canal tour can be a great experience and the best way to explore this beautiful city. The Danish design and fashion are renowned worldwide. The Tivoli gardens is a don’t miss attraction in Copenhagen. Opened back in 1843, it is the second-oldest amusement park in the world. This park is known for its magical rides, performing arts, exotic architecture and beautiful gardens. It s great city for nightlife with many concerts, parties, cocktail bars and top restaurants. It is an incredible set of giant limestone pillars located in the Yunnan province of China. It is also known as Shilin. 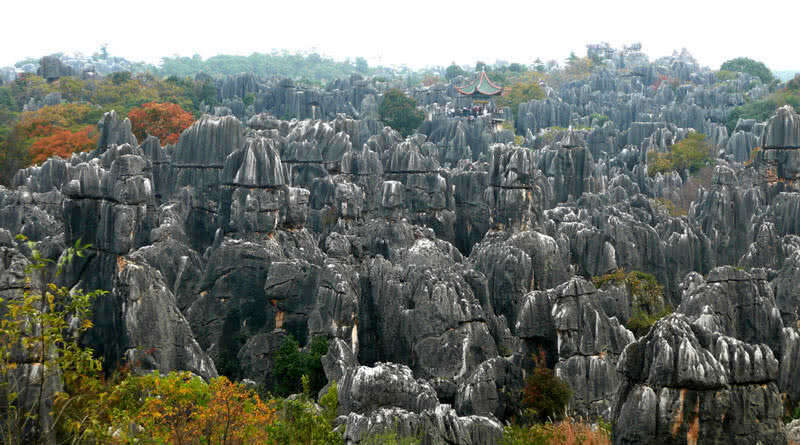 The Shilin stone forest covers a vast area of 180 square miles. In addition to large and small stone forests, this site also includes river caves, natural bridges, and waterfalls. The stone forest was formed more than 270 million years ago by the erosion. Here you can find giant limestone formations in various shapes including, humans, animals, plants, flowers and trees. One of the most iconic buildings in London, situated alongside the Thames river in Westminster. Palace of Westminster is also known as ‘Houses of Parliament.’ It is the meeting place of Britain’s member of parliament. 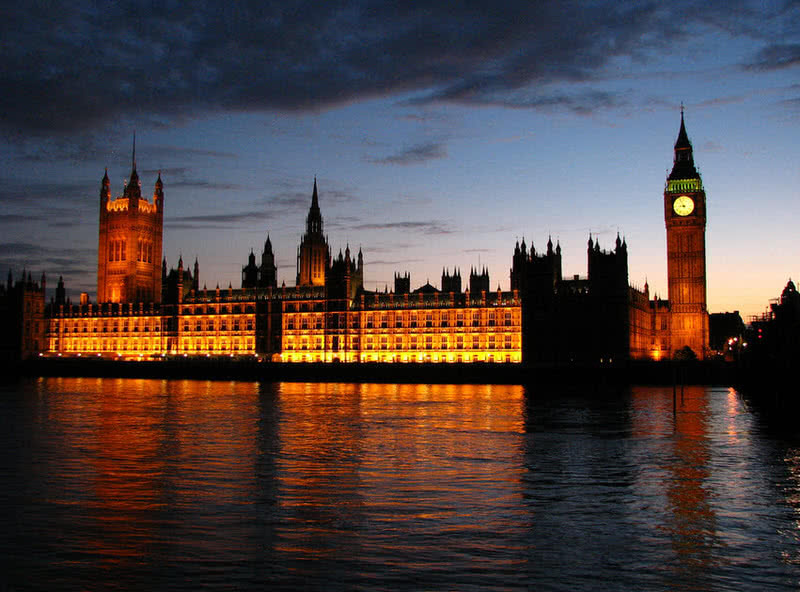 The Westminster Palace was home to English Kings and Queens from the 11th century to the 16th century. This palace covers 8 acres of land and has three main towers. The 316 feet high, huge clock tower at the Northeastern side of Westminster palace is known as ‘Big Ben.’ It is one of the most famous landmarks in the world. This palace contains more than 1000 rooms, 100 staircases and 3 miles of corridor. 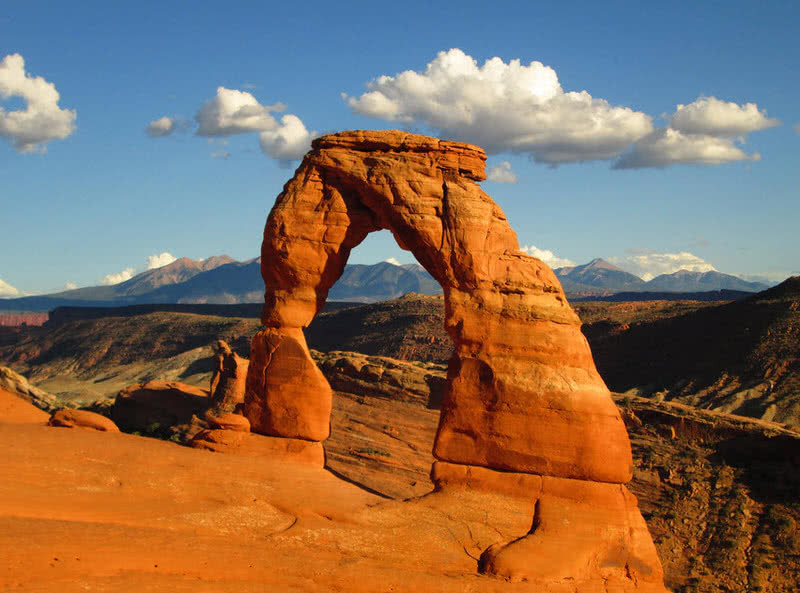 In 119.8 square miles of area, the Arches National Park contains more than 2000 natural arches. The 20-meter tall Delicate is the most popular natural arch of Arches National Park. It featured on postage stamps. It is also the most photographed arch in the park. Hike along the beautiful trails or drive along the main road of Arches National park to get a closer view of the arches. The view of the night sky and Sunset at the Arches National Park will leave you breathless! Sydney is renowned worldwide for its quality of life and attractions. It’s a land of beautiful beaches, fabulous museums and galleries, opera, parks, delicious food, and a better public transport system. 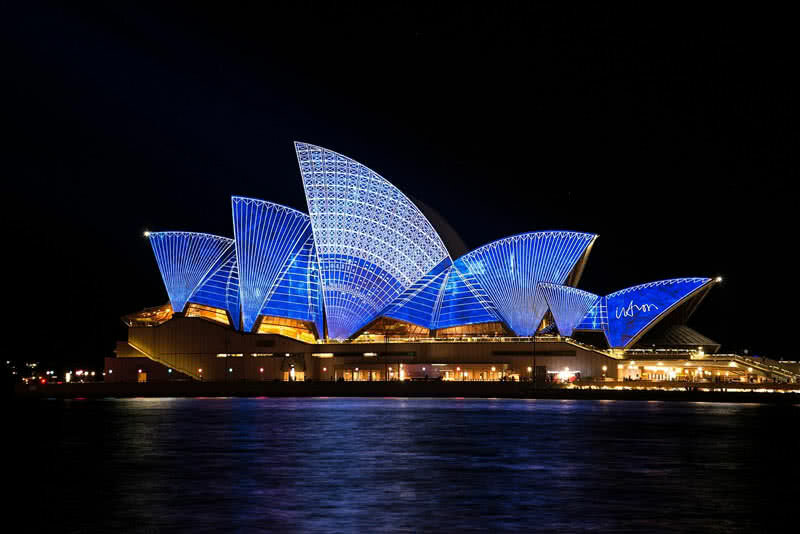 Sydney opera house is the architectural icon and the most prominent attraction of the city. It is famous for its shell shaped sails roofs and looks stunning from all sides. Every year Sydney opera house host more than 1500 performances. Sydney is a city of beautiful beaches. So you can enjoy sailing, surfing, boating, and diving. Bondi beach and manly beaches are the most beautiful beaches of Sydney. The Sydney Harbor bridge is as famous as the opera house. The 3770 feet long bridge has eight road lines. Climbing is allowed here, will bring a stunning panoramic view of the city! The Sydney Harbor is one of the most beautiful harbors in the world. A great place for sightseeing, to drink and eat. The ferry trip is a don’t miss activities at this harbor. 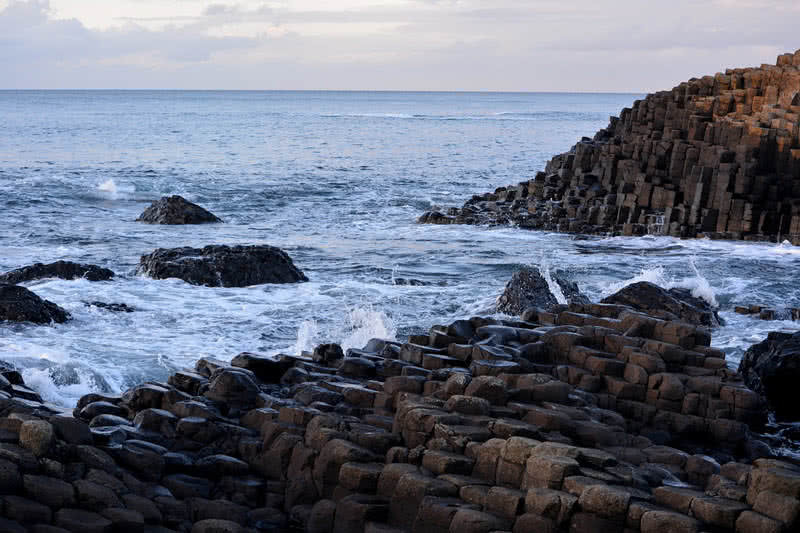 Giant’s Causeway is a stunning site where around 40000 interlocking black basalt columns situated along the Northeast coast of County Antrim in Northern Ireland. About 60 million years ago, this dramatic site formed as the result of a volcanic eruption. Most of the columns at the sites are hexagonal. Some columns have seven or eight sides. Giant’s causeway is also an excellent place to watch sea birds such as cormorants, petrels and razorbills. 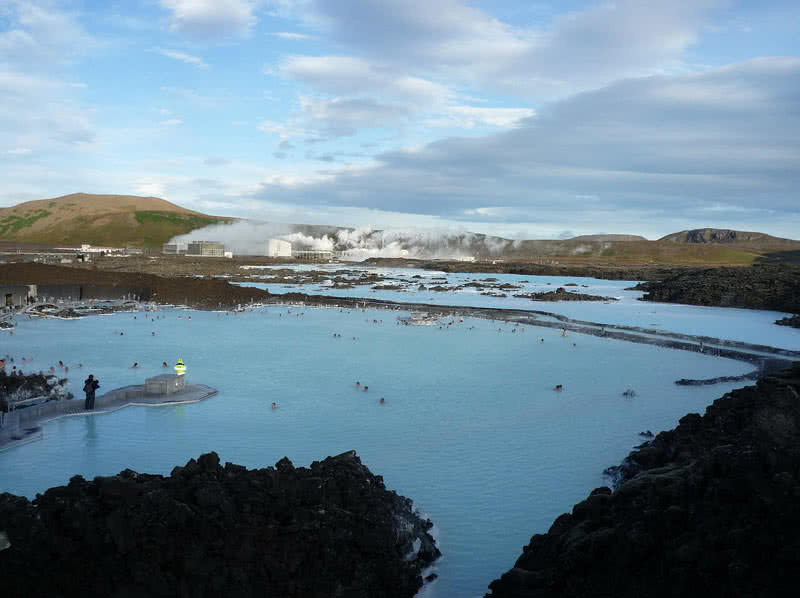 The waters of Blue Lagoon has brilliant milky blue color due to the presence of minerals.